You can never have too many zippered pouches! I have just made a triangular pencil case. With its flat base, it stands upright and it s great little project to use some coordinating prints. I appliquéd a little patch on each side and lined it with polka dots. I forgot to press it when I finished so it is not quiet so wonky in real life. 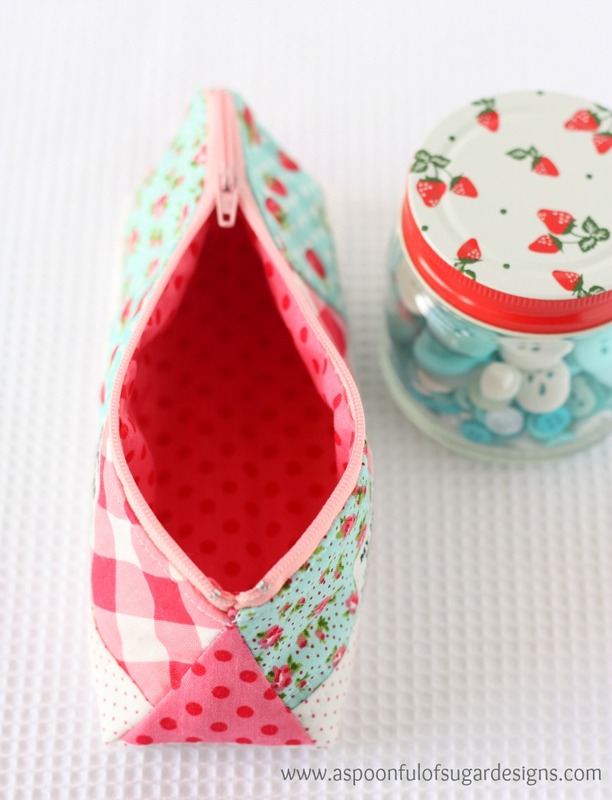 For this project I used fabrics from Annie’s Farm Stand by Lakehouse Dry Goods, plus some polka dots I had in my stash. I have a couple of improvements to make with my next version but was pretty happy with the triangular pencil case for a first prototype. Would anyone be interested in making one? If there is enough interest, I will photograph the steps on the next pencil case I make and put together a tutorial. It is a great little scrap buster project. Gorgeous! I am always on the lookout for pretty pouch variations- as you say, you can never have too many! It looks great, I love the little label patches. Would love to see a tutorial for this. I would love to make one!! I’ve made lots of pouches but never a triangular one. It’s the perfect size! This is gorgeous! I would love to make one too! Yes, I would love to make one too! It’s so cute!! I know I would love to make one too! Absolutely! I need something for a toiletry kit, this would adjust up perfectly! Yes please 🙂 Sounds like a very handy little thing. Love this! 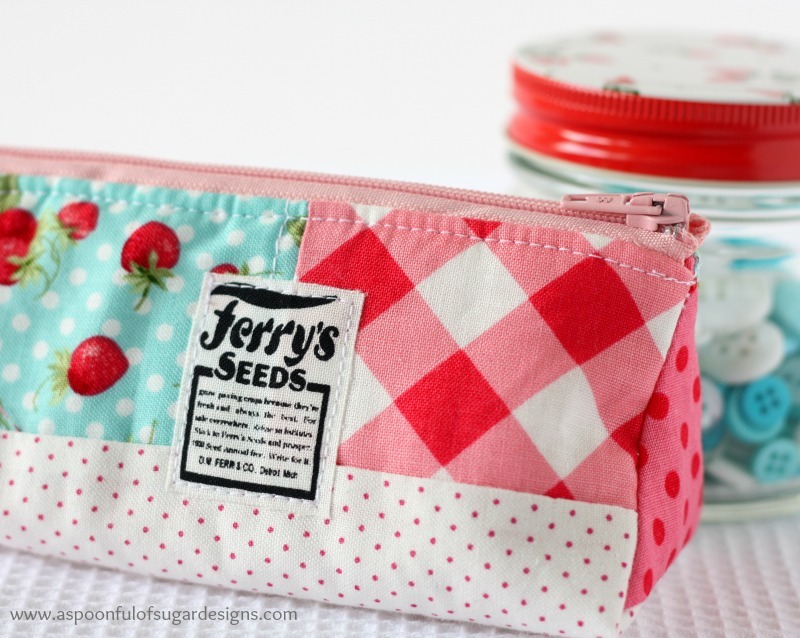 I totally agree with you – We can never have too many zippered pouches! 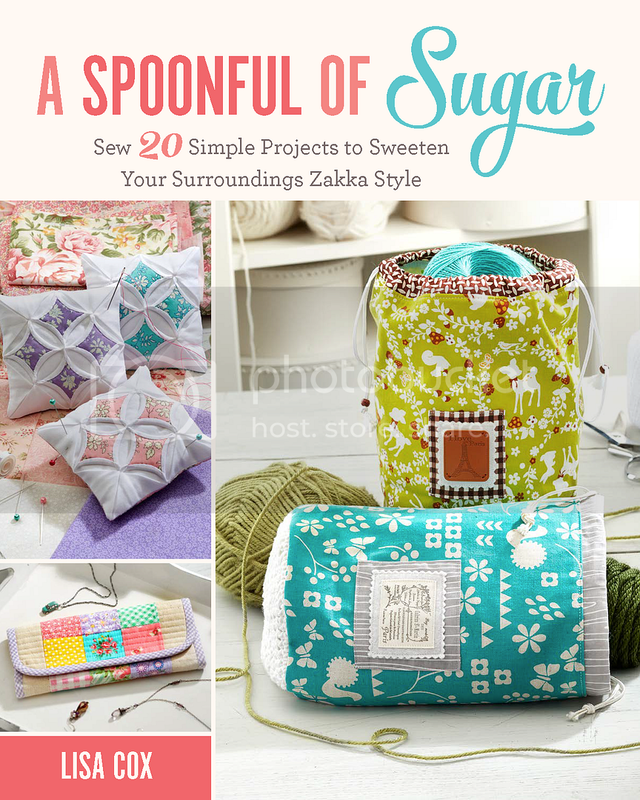 Thanks so much for inspiring us with your sweetest creations! Yes please. I have followed your tutorials in the past, and they are great! Oh pleeeeease post a tutorial!! I’m going to chime in with the others that would love a tutorial, please and thank you! I spotted your project on Pinterest (many times – lots of people have pinned it :D) and came over for a peek – it’s gorgeous! A tutorial would be brilliant, I wonder if a larger one for storing scissors and stitch rippers would be possible, those things just walk right off my sewing table into the wide blue yonder. I would love to make one! Please make a tutorial! I would like to add my voice to all the others. Please give us a tutorial for the triangular pencil case. I would love a tutorial! 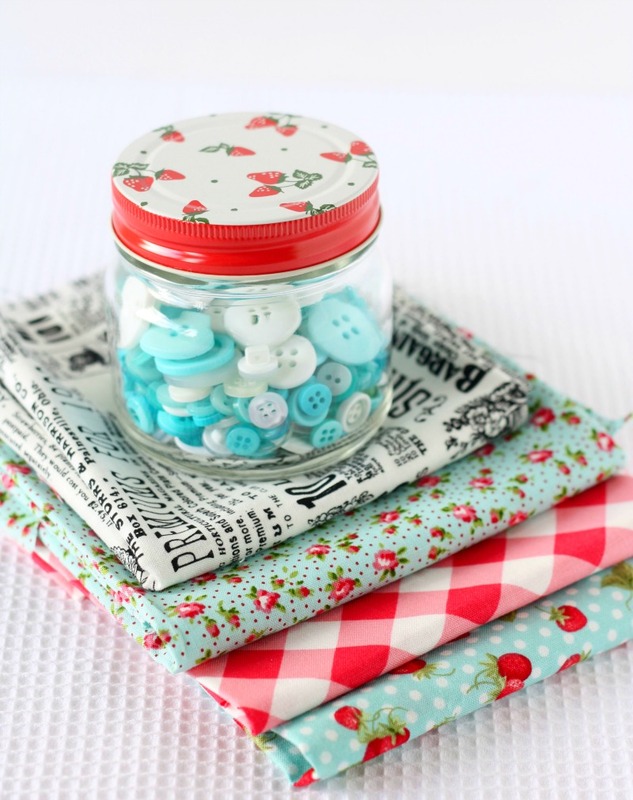 Your fabrics are wonderful…it looks so cheery! Yes, please! 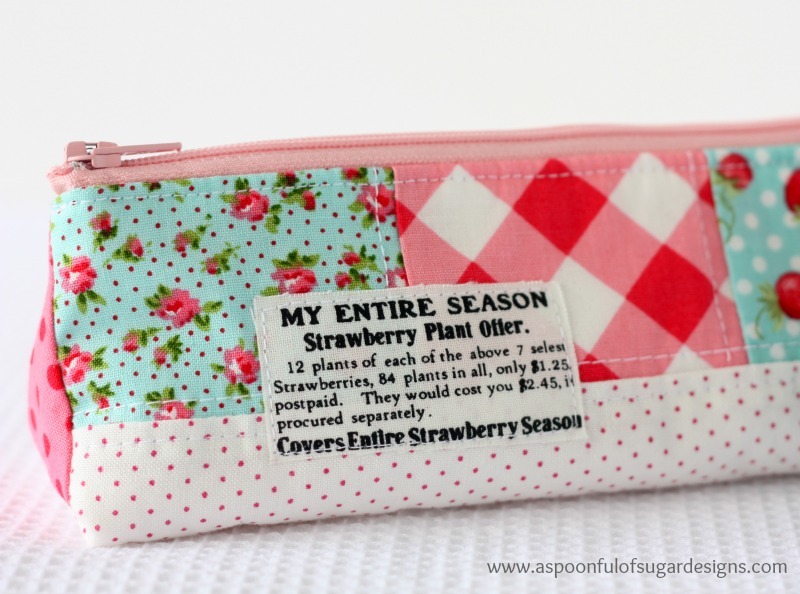 This is a great zippered pouch! thank you for sharing it with us. Would love a tutorial on this! So stinkin’ cute!!! Your tutorials are awesome, and this would make a great one. I really want to make one of these!!! Oh, yay!! School starts soon!!! I’d also love a tutorial. 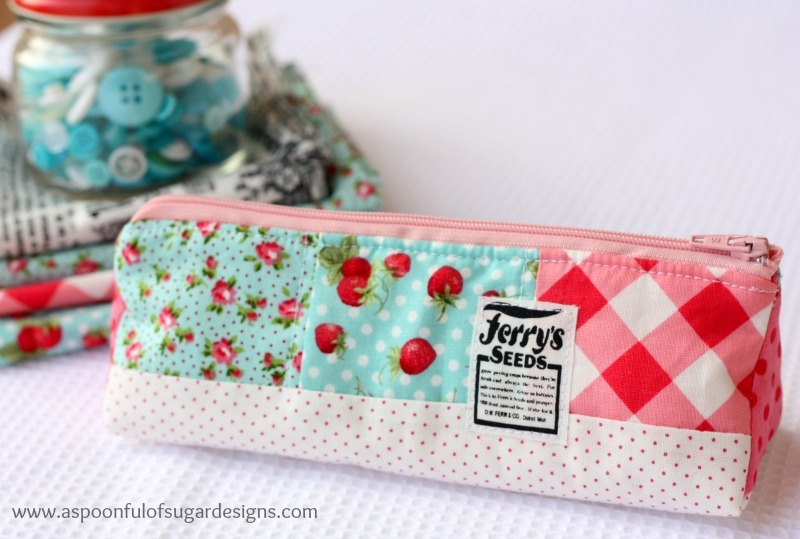 Really lovely pencil case! You are right, you can’t have too many. Esp when they are as darling as this.